Boyd Varty and I recently went on a short weekend trip to Lake Tahoe. 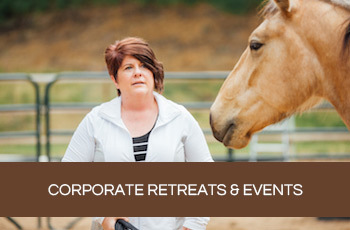 We were there to connect with local female tracker and conservationist, Meghan Walla-Murphy, and explore the area with a view to hosting future animal tracking retreats in California. As the three of us walked through the green forest, Meghan was careful to point out evidence of the symbiotic relationship between the plants and animals. We talked about the important role of natural biodiversity in the evolution of nature itself. One way we saw this in the forest was in the co-operation and interdependence of plants and fungi. The plant obtains phosphate and other minerals it needs from the fungi to support its own growth, while the fungus finds the sugars it needs from the plant’s roots. It was a thought-provoking discussion and it stayed with me even after we had left the forest. Later that afternoon, I found myself watching a YouTube video Meghan had recommended on the hike, after our conversation had turned excitedly to the topic of bees and their remarkable intelligence. I watched a man named Paul Staments share his passion and research around declining bee populations. In the video he speaks of bees’ need for biodiversity and the benefits they derive from consuming mushrooms. It seems that in creating our highly manicured landscape and gardens, as well as in our farming practices, we have tinkered with mother nature’s intelligence around the symbiotic relationships of diversity. Staments explains that bees are in great need of a healthy increase in fungi in the environment. Interesting, I thought to myself. The same message again. An hour later I picked up my smartphone, deciding to take advantage of a good hearing day by listening to an audiobook. I didn’t pay much attention to the title of the book had been brought up in my player, but after listening for a while I checked; the book was David Perlmutter’s Brain Maker. Going by the book’s title, I would have expected to be hearing about developments in psychology, or maybe neural anatomy. Yet in fact, Brain Maker uses groundbreaking research and profound stories to show the vital importance for our health of cultivating a diverse microbiome in our gut bacteria. Hmm, I thought. Biodiversity and health again. At that moment, Boyd leaned over and tapped me on the shoulder to get my attention. I paused the audiobook. Okay! Okay! Universe, I’m getting the message on multiple levels!! We all could use a bit more friendly bacteria in our lives. Our entire ecosystem thrives on a large scale of diversity and symbiotic relationships. And… Instead of trying to create a “one size fits all” model in the areas of personality, talent, presence, intellect and physical appearance, it would serve us much more effectively to truly celebrate our own uniqueness. Try taking a brief moment to reflect on what makes you you. Just like the forest and the human body, our community is an ecosystem which thrives on diversity. When we foster that diversity, the tribe as a whole is strengthened. Think about it: the more you are willing to surrender to your own unique essence, the more we all flourish. We’d love to support you in witnessing that remarkable uniqueness. 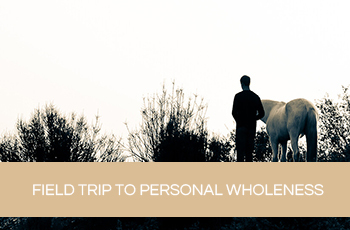 Join me, Michael Trotta, Jennifer Voss, Boyd Varty and Ashley Jansen as we come together to share with you The Field Trip to Personal Wholeness.